Throughout Europe, land is predominantly under individual ownership. Landowners (both private and public) are granted very significant, sometimes absolute, rights on their property, which are often used at the expense of tenant farmers, and other land users: neighbours, local residents, consumers, local authorities, hikers, etc. Our organisations strongly believe that everybody can and should have a voice in defining how land is used and managed, as well as its agricultural orientations. From the local to European levels, citizens and local communities can participate in planning and managing land use, together with farmers, farming institutions, local authorities and others. Should a piece of land be used for farming or for development? How to organise land use to meet the need for local, high quality food? How to ensure farming practices respect the regenerative capacity of the soil? 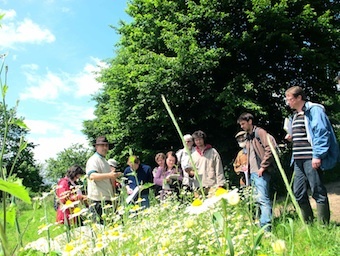 How do we organise human activities to preserve a balance between urban and rural areas? How much do we, as a society, want to capitalise value in the land, through our tax systems, inheritance laws, subsidies and other mechanisms? For us, managing land as a commons means finding a better balance between the needs and capacities of landowners, farmers and other users of the land. Our approaches take into consideration the central concern of preserving farmland for current and future generations, and ensuring that the vital contribution of the land towards the quality of our water, soil and ecosystems is respected. Managing land as a commons also means directly engaging consumers, local communities and other land users in the way farmland is used and managed, while respecting farmers’ autonomy. collaborating with public and private landowners, who wish to develop better use and governance of their land. All this is part of a much broader transition aimed at restoring living, community-connected ways of farming and rural life.